The E250 BlueTEC diesel models have a new four-cylinder turbocharged 2.1-liter engine that makes 195 hp and 369 pounds-feet of torque. 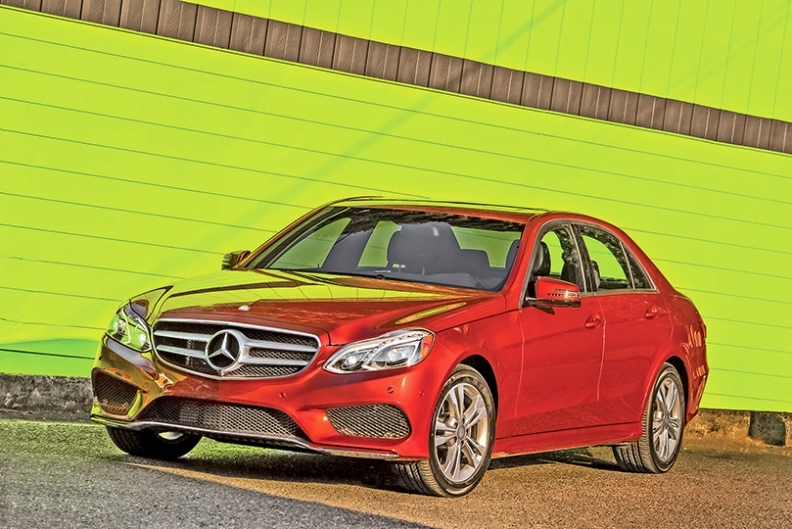 PORTLAND, Ore -- With competition growing in the mid-sized luxury car segment, Mercedes-Benz decided to do a major midcycle overhaul of the E-class range rather than wait three years for the next generation. "It is a very competitive segment," said Bart Herring, general manager of product planning for Mercedes-Benz USA. "We wanted to stay out front from a technological and design perspective. We had to go beyond what is typical for a midcycle change." BMW's 5 series is the traditional rival of the E class, but competition also comes from the Lexus GS, Audi A6, Infiniti M, Jaguar XF and Cadillac CTS. Hyundai has entered the segment with the Equus, and Herring said the E class also competes with similar-sized crossovers. The E-class range includes a sedan, station wagon, coupe and convertible. 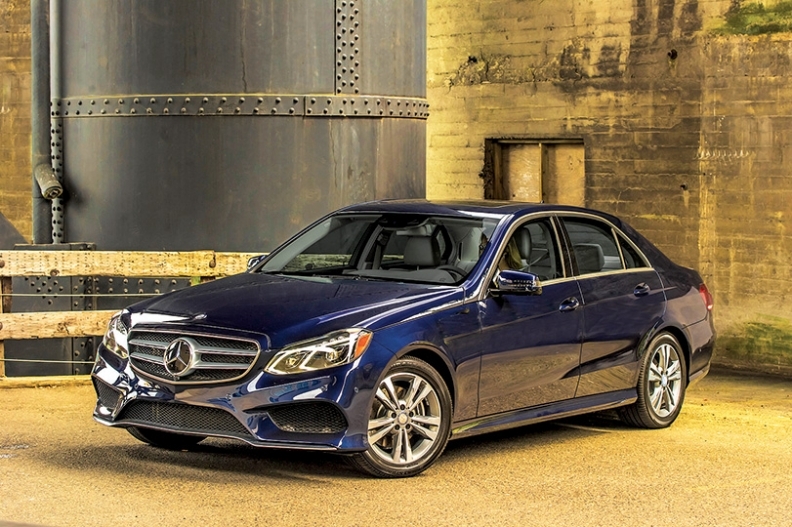 Mercedes added the E400 Hybrid, updated the engine in the E250 BlueTEC diesel and now offers that model with optional all-wheel drive. The E63 high performance AMG sedan and station wagon have been added. Mercedes brought all of the models to a full-line preview for journalists here in August. The rollout started in April with the re-engineered sedan and wagon, followed by the coupe and convertible in June. The diesel cars go on sale this month. The E250 BlueTEC diesel models have a new four-cylinder turbocharged 2.1-liter engine that makes 195 hp and 369 pounds-feet of torque. The E class got a new hood, bumper and headlights. For the first time, there are two front end choices. The Luxury model has a traditional sedan grille with the Mercedes star on the hood. The Sport model has the star integrated into a new grille. The rear doors on the sedan and station wagon were also reshaped. LED lights are standard in the rear and optional in the front. The interior was given the same instrument cluster as the more expensive CLS sedan. On the coupe and convertible, the shifter was moved from the center console to the steering wheel. Mercedes has packaged 30-plus safety and handling features into what it calls Intelligent Drive. Some are optional. The more technologically advanced safety and handling systems are included in a $2,800 option package. All models come standard with a stereo camera system that surveys 1,600 feet in front of the car and can detect cars, pedestrians and cyclists from 160 feet away, said Dave Larsen, E-class product manager for Mercedes-Benz USA. The E class accounts for nearly 25 percent of Mercedes' U.S. sales -- 65,171 vehicles were sold last year, up 4 percent from 62,736 in 2012. Through July, E-class sales fell 5 percent to 33,836 but still topped the BMW 5 series, which was down 8 percent to 30,748 cars. BMW doesn't have a 5-series coupe or convertible and no longer offers the station wagon in the United States. It has five-door hatchback called the 5-series Gran Turismo.